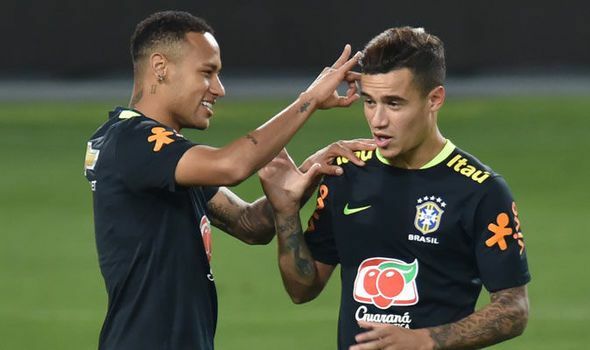 Barcelona president Josep Maria Bartomeu has insisted that Philippe Coutinho is not for sale and has poured cold water on Neymar's potential return to the Nou Camp. A return to Jurgen Klopp's Reds had been mooted along with a switch to Manchester United. "Are we going to consider the sale of Coutinho? No. It's a club bet," Bartomeu told El Partidazo de COPE . "I have never spoken to them, nor have the father or player called me to return to Barca. They have not called," Bartomeu said. "We are preparing for next season and the name of Neymar is not on the table. "We are talking about a PSG player and I do not think that PSG want to get rid of a player like him."